Creating an eLearning project plan means establishing a realistic eLearning budget to match your expectations. Here are 7 things to consider to develop a realistic eLearning budget. Developing an eLearning course requires content curation, audience research, and training needs analysis. However, that’s only a small fraction of the planning process. In fact, virtually every aspect of your eLearning project hinges on the eLearning budget. More specifically, the amount of online resources you have at your disposal and how you can maximize them. Developing a realistic eLearning budget allows you to sort the must-haves from the wants in order to achieve the desired goals without breaking the bank. Here are 7 tips to create a realistic eLearning budget for your next eLearning project. Get a Free PDF Download on eLearning Project Management. This Free eBook can help you learn all the characteristics of a successful eLearning Project Manager. An impactful eLearning course can be somewhat expensive to develop. Gathering all of the knowledge needed to properly educate online learners is important. Then, that knowledge needs to be presented to them in a way that is engaging and easily digestible. If an online learner tunes out the information, then the eLearning course has not done its job. You need to know what the most important components of your eLearning course will be as you plan your realistic eLearning budget. Keep this list down to just a few items. These will be what you absolutely must have in the final eLearning course. This list will also help you to keep your imagination from running wild and leading to eventual disappointment. Keep your expectations reasonable and achievable within a realistic eLearning budget. There are various methods for determining how much funding should go into each component of the eLearning course. You should consider how much you want to spend on certain aspects of the eLearning project. Some common eLearning development costs include audience research, training needs analysis, eLearning authoring tools, LMSs, and hiring the right eLearning team, just to name a few. Figure out how much of your eLearning budget you want to devote to each component and then figure out where you can cut costs. 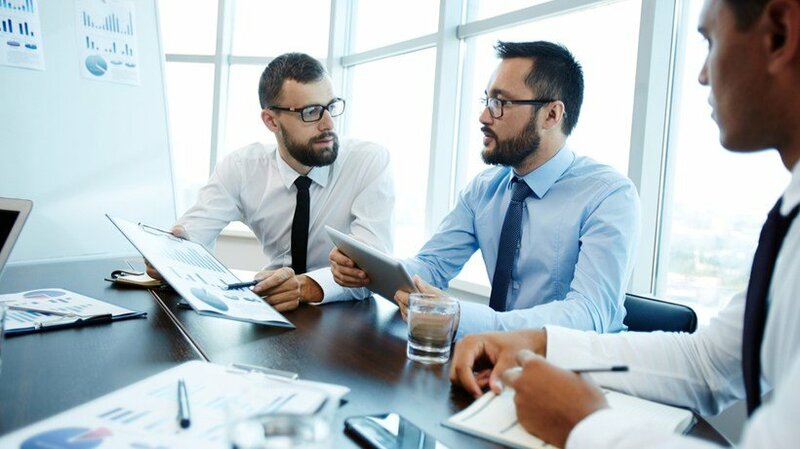 You should also meet with your collaborators to determine which resources they require for the task. For example, your graphic designer may need a specialized software that takes a bite out of your eLearning budget. While we all wish every eLearning project could run smoothly, there are bound to be roadblocks. Sometimes unexpected things happen that will cause the eLearning project to cost more than you originally anticipated. You need to ensure that there is money in your eLeaning budget to handle these sorts of unforeseen circumstances. For example, a lot of eLearning courses take many revision cycles to perfect. You need to have users test the eLearning course, work out the issues, and then try again. This process costs both time and money to undertake. You cannot expect to get the eLearning course right on the first try every time, as there will always be minor modifications to enhance its benefits. Take note of these possible risks and work them into your realistic eLearning budget. That will keep you from coming up short when the eLearning project is coming to a close. For most eLearning courses, updates will be necessary after a certain period of time. Most topics are not evergreen, and will require information refreshers. While this expense might not come for months or even years, it is important to take it into consideration. Neglecting to allocate resources for updates can lead to eLearning courses that never get revised. This means that the information will become stale over time. Assess how often you think your eLearning course will need to be changed. If it’s a topic that is constantly evolving, then your eLearning budget will need to be larger. Keep your eLearning courses relevant by budgeting in money for revisions as they are needed. One of the most effective tools you have at your disposal is your current eLearning budget, as well as itemized cost breakdowns you’ve used in the past. These expense sheets can help you track your spending habits so that you can factor everything into your new realistic eLearning budget. For example, you devote resources to Subject Matter Experts and graphic designers for past eLearning projects. Thus, you have a general idea of how much you need to set aside this time around. You can also spot areas of the eLearning budget where there’s room for improvement. For instance, you may be able to outsource fewer assignments in order to cut costs. Chances are you already have learning materials, eLearning authoring tools, and other valuable assets on hand. Thus, you don’t need to factor them into this eLearning budget. Instead, you can allocate those online resources to other endeavors. Take stock of the eLearning resources you have and determine what can be reused or repurposed. For example, you have a webinar that can be transformed into a skill-based microlearning activity. You only need to break the recorded event into distinct modules, online training tutorials, or demo videos. That saves you the expense of creating a microlearning online training repository from scratch. Or you may have eLearning templates from past eLearning projects that are ideal for your current eLearning course design. You may want to meet with your eLearning team to see if they have any assets to help you reduce eLearning costs and development time. Creating a helpful and realistic eLearning budget requires a great deal forethought. You need to understand the eLearning course’s purpose now and in the future, as well as consider the needs and goals of your online learners. It is also important to understand the tasks involved in the process and which tools are required for their undertaking. Leave room for risks that might crop up over time so that you can afford unexpected surprises. Finally, remember that the eLearning course will eventually need updates and ongoing maintenance. Are you curious about what sets successful eLearning teams a cut above the rest? 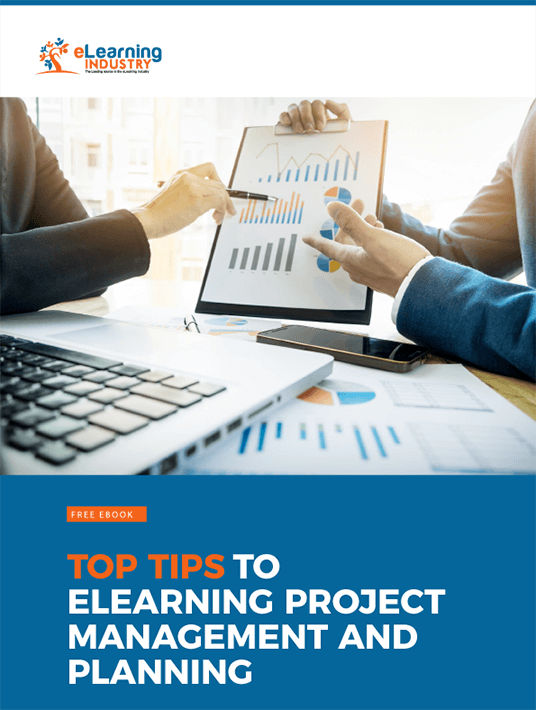 Download our free eBook Top Tips To eLearning Project Management And Planning to learn how to effectively determine the goals and objectives for your next eLearning project, as well as the must-have skills that eLearning Project Managers should possess.